The Program CD contains printable lesson activities in PDF format and music for use in large group sessions. The weekly session plans tell you which lesson pages and songs to use. This innovative, multi-format CD allows you to print activity pages from your computer and play songs from a CD player. Includes copyright permission to print and/or photocopy an unlimited number of activity pages for your church. Order extra copies for your teachers. Preparation tools (Get Connected), such as short devotionals, ideas for personal prayer, and teaching tips. Large group sessions (What’s Up? and Guess What!) complete with praise, prayer, participation, and an exciting Bible story presentation. Small group sessions (So What? and Do What?) with opportunities for kids in grades K-3 and 4-6 to connect with God, with their leader, and with their peers through prayer, crafts, drama, movement, and more. Options, extra activities, and ideas to create a lesson that works best for your group—or adapt the complete lesson for an audience of one! 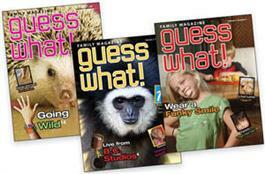 The Family/Student Magazine (titled Guess What!) for each four-lesson unit is full of fun faith-building activities for kids and their parents. Parenting articles, do-able devotions, and a family-friendly calendar are just some of the ways families will be able to connect what happened at church with what is happening at home! Guess What! is designed to be used in the diverse family settings your kids represent, so it’s ideal for reaching out to families who don’t attend church or those who are just starting their faith journey. Order one set per family or student (three per quarter). Sing With Me is a children’s songbook that includes nearly 250 melodies and the music for many songs used in Kid Connection. Fun songs and peaceful songs, contemporary songs and modern hymns, global and spiritual songs are included for a well-rounded collection, as well as simple accompaniments. 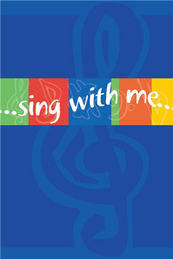 Ideal for church school, children’s choirs, Christian day schools, families, and young piano students! The Sing With Me Leader’s Edition contains full accompaniments as well as background information on songs, actions, signing, and more. The holiday (Christmas and Easter) and summer units are ideal for use with Kid Connection. To see samples of all the units, visit the Faith Alive website.